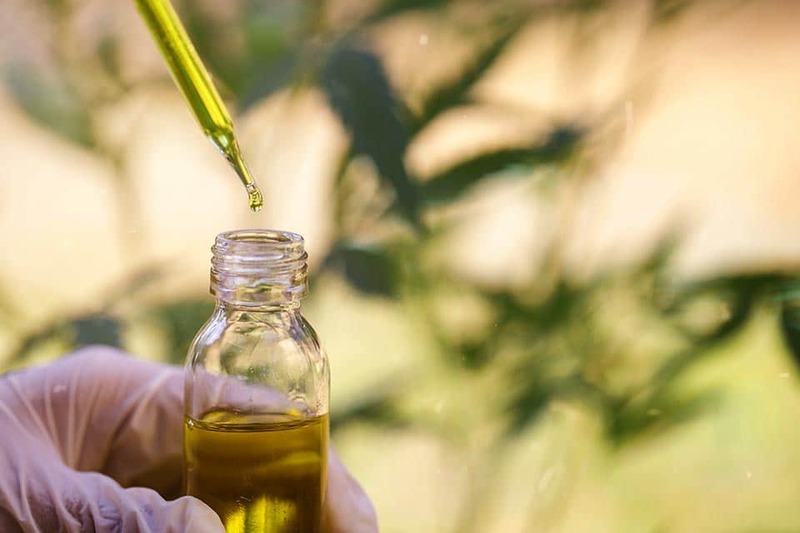 CBD oil is becoming popular and has many people looking for the availability of different types of CBD oil for sale. CBD oil is available in a number of forms including balms, capsules, tinctures, and roll-ons. Some CBD products are applied directly to the skin while others are taken sublingually or orally. The concentration of CBD can vary with the type of product. Consider your wellness expectations to find the type of CBD oil for sale that will work best for you. Green Remedy offers several different formulas and types of CBD oil for sale. CBD Full Spectrum All Natural – Along with hemp CBD this product contains a full spectrum of cannabinoids and terpenes. Many believe that this full spectrum allows the cannabinoids their full effect, known as the “Entourage effect”. This is effective and all natural. Available in 500mg, 1500mg or 3000mg of CBD hemp oil. The taste of this natural product is often described as “earthy” or “grassy”. 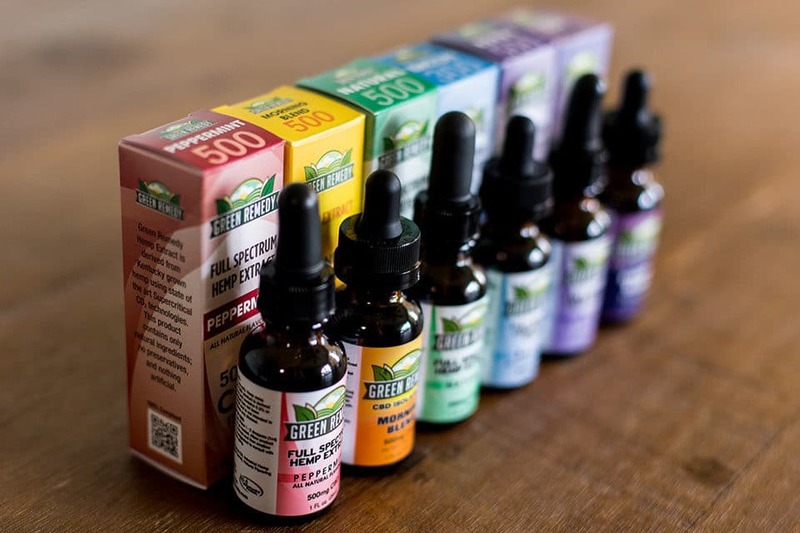 Full Spectrum Hemp Extract Berry and Full Spectrum Hemp Extract Peppermint – These formulas are effective, all natural and delicious. Either berry or peppermint flavor has been added using all natural compounds. Many enjoy the flavor of these CBD oils for sale over its more natural state. Berry flavor CBD Oil is for sale in 500mg, 1500mg, and 3000mg bottles. 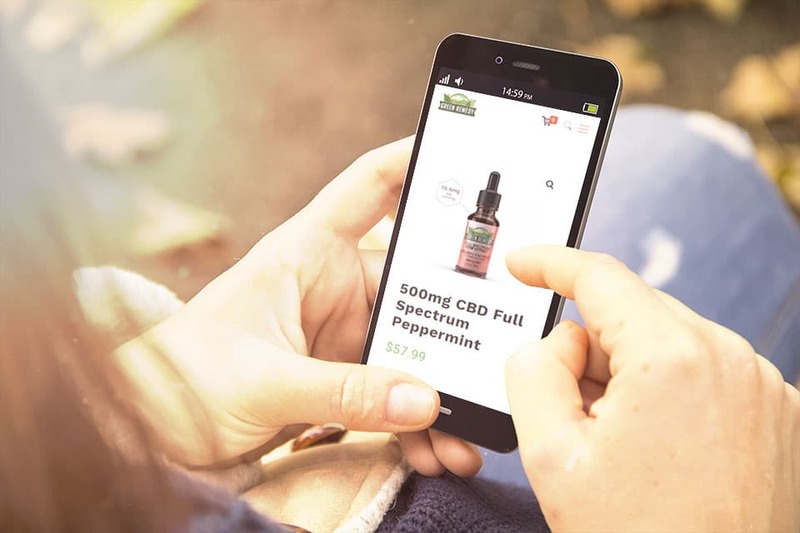 Peppermint flavor CBD Oil is for sale in 500mg, 1500mg, and 3000mg bottles. CBD Evening Blend – This blend has hemp 99+% CBD isolate that is infused with Lemon balm leaf, Passion flower extract, Chamomile, and Valerian root. This formula is ideal to take in the evening to help wind down and enjoy a good night’s sleep. Evening blend CBD Oil is for sale in 500mg 1 fl oz. bottle. CBD Morning Blend – This blend has hemp 99+% CBD isolate infused with Acai Berry, Ginseng, Ginkgo leaf and cranberry. Taken in the morning this formula will help jump-start your day. Morning blend CBD Oil is for sale 1 fl oz. 500mg bottle. 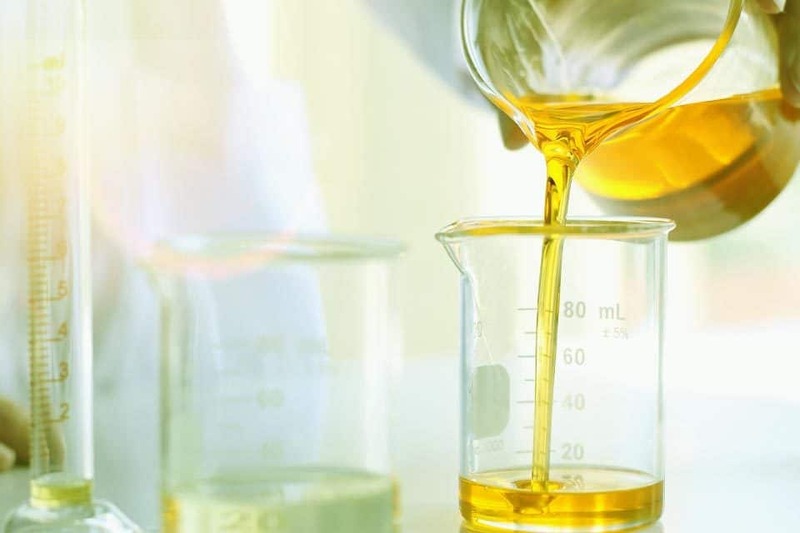 CBD oil for sale as an isolate, like the Morning Blend and Evening Blend from Green Remedy, do not contain the other cannabinoids and terpenes found in full spectrum CBD oil. This is pure CBD oil that does not have any THC in it. THC is the component of cannabis that can offer a “high”. Legal full spectrum CBD oil has .3% THC. This trace amount does not make one feel “high” and is legal in all 50 states. If this is a concern, look at these isolate products that are THC free. Many people are discovering the benefits of using CBD oil for sale as a balm on their skin. Research is on-going as to how CBD oil may be able to help many skin conditions. CBD oil is used as a long-lasting moisturizer that is easily absorbed into the skin. Using a CBD balm on your skin can help soften, revitalize and regenerate tired, dry or inflamed skin. It can also help give your skin a more youthful, healthy glow by helping to remove dead skin cells. Green Remedy has carefully crafted their plant-based 200mg CBD balm using 25 of the world’s most known herbal extracts. Made from all natural products the Green Remedy balm is a full spectrum CBD extract – not an isolate. Apply this non-greasy balm directly to the skin in targeted problem areas and feel its soothing effect. Green Remedy has a topical roll-on that will be available soon. The perfect CBD oil for sale in a controlled serving is sold as a gel capsule or pill. Green Remedy is in the process of developing the best, all-natural full spectrum CBD capsules. Capsules are easily ingested and are often preferred for their ease of use. Green Remedy capsules are being perfected and will be available soon! Did you know that CBD oil is also good for your pets? Green Remedy offers an effective 300mg full spectrum CBD oil for sale just for pets. This formula is bacon flavored to please our pet’s tastes. Green Remedy didn’t cut corners on their pet formula. This CBD oil uses the same pure, natural resources Green Remedy is known for. This formulation is all-natural and non-GMO. Follow the chart to find the right CBD dose for your pet. Green Remedy is a Kentucky Proud company offering the purest and highest quality of hemp CBD Oil for sale.